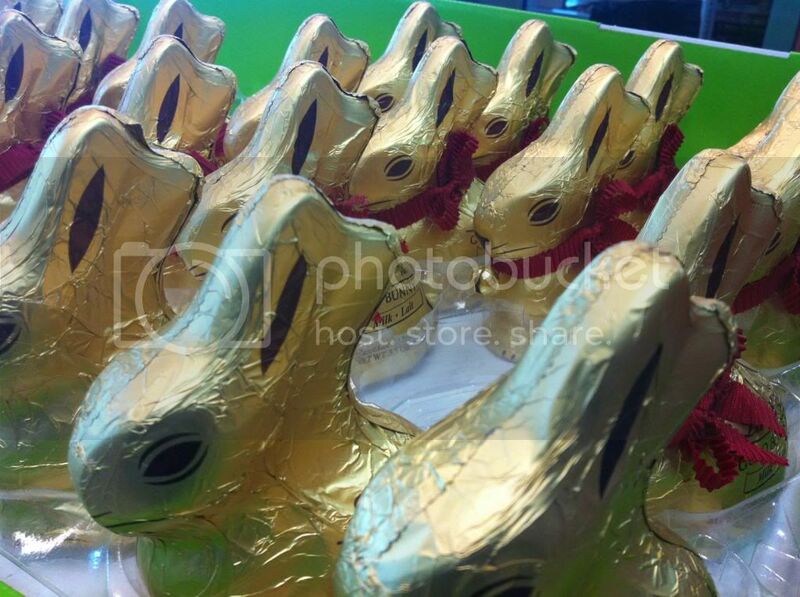 Easter is fully upon us and I've got an AWESOME review for you today. 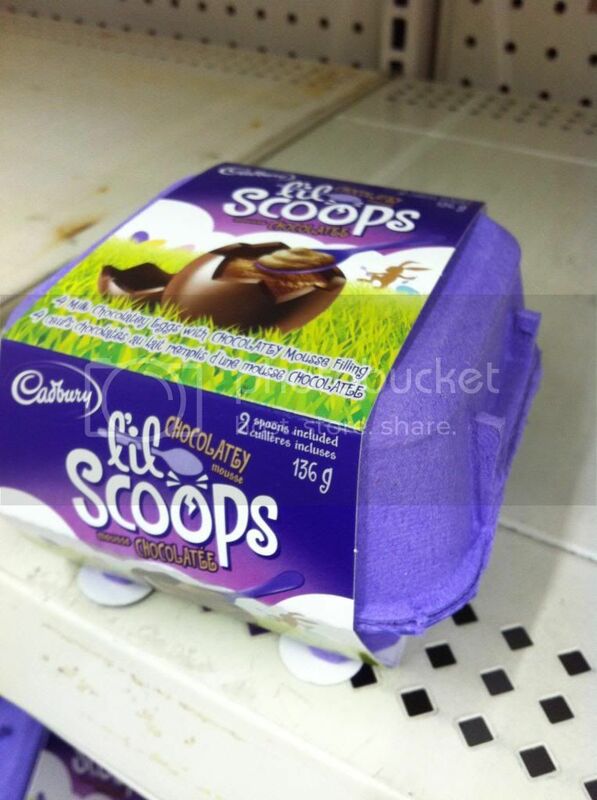 Lets check out the new Cadbury Lil Scoops Chocolatey Mousse eggs. Get this if you can! 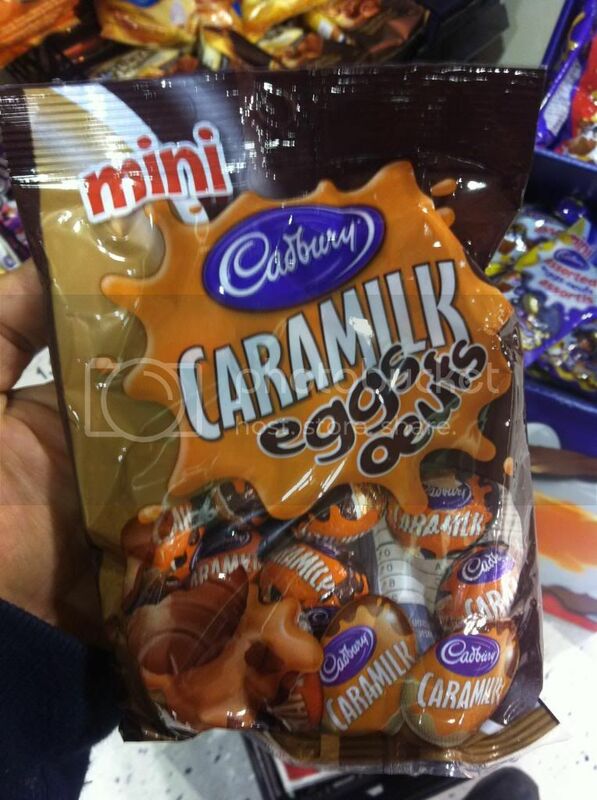 Its just wild stuff :) And definitely let me know if you encounter this under the Milka Brand name. I'm just curious. It was back in early October that I told you about Cadbury's initial efforts into the snack cake world, at least to my knowledge, with their Caramilk and Mr Big cakes. Then of course there was the very interesting step with the Screme Egg snack cake at Halloween. 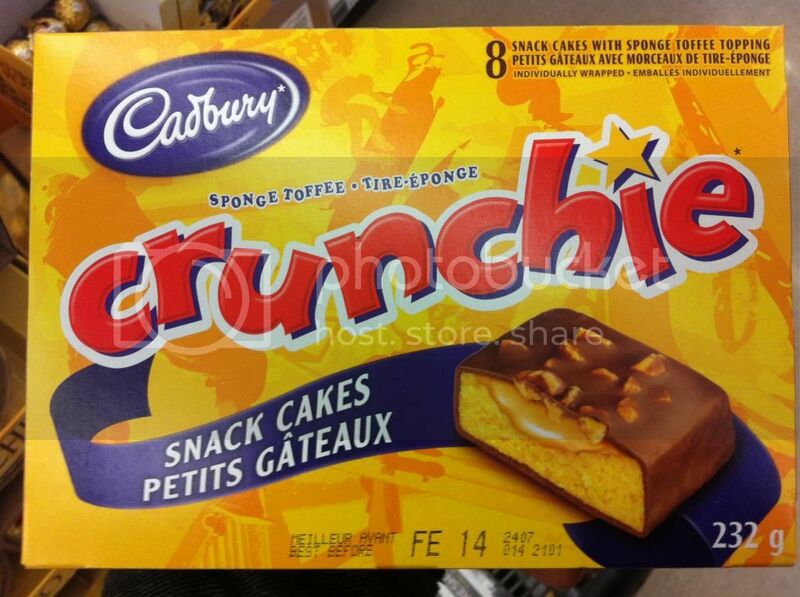 Now though they've found another product to bring to the public in cake form: Crunchie. For those of you who may not know, Crunchie is and has always been one of my personal favorites. Its a honey flavored sponge toffee bar dipped in chocolate. The bar is unlike almost anything I can describe, although I've been told that Australia's Violet Crumble bar is similar. Crunchie is also one of the handful of lost reviews for the Candy Aisle. Yes we have had a few reviews not work out for one reason or another. I'm sure I'll take another stab at it in the not too distant future but when you look at Cadbury's interesting plan to launch their bars into new territory (see their efforts with fondue, and ice cream bars) then you have to give them serious props for at least attempting to innovate. I'm interested to try a Crunchie snack cake. Hopefully I'll get a chance to soon! Well tomorrow is the big day, and since I'm going to be giving you a review tomorrow I'll just say it now. Happy Valentines Day to all of you who love that sort of thing. For me, I find Valentines a bit meh. I mean I have lots of great people I love in my life, but the artificial stuff involved in the holiday is so tough. Its not like Christmas where you can have general goodwill and love towards everyone. This is such a specific holiday with such specific and strange cultural rules. Its hard to pick something out, I mean the right thing out. Its tough if you're alone, its tough if you're in a new relationship, its tough if you're in a long term relationship. In fact the only people I think Valentines is great for are the people in that honeymoon phase of a relationship where being cheesily romantic is totally acceptable. For everyone else Valentines can be a tough time. I do like the candy though, even if oher than box chocolate the shelves are a bit bare. I'm giving you only one Valentine themed review this year. Maybe I'll have time for more next year, but for now you'll get something from me tomorrow, and then we'll move onto Easter. Today though I've got a few last minute Valentine bites I wanted to share from the candy aisle. I don't know why but I'm always surprised to see Mrs Fields outside of the mall food court. And doubly so when its not in a cookie context. These are straight up Mrs Fields chocolates. 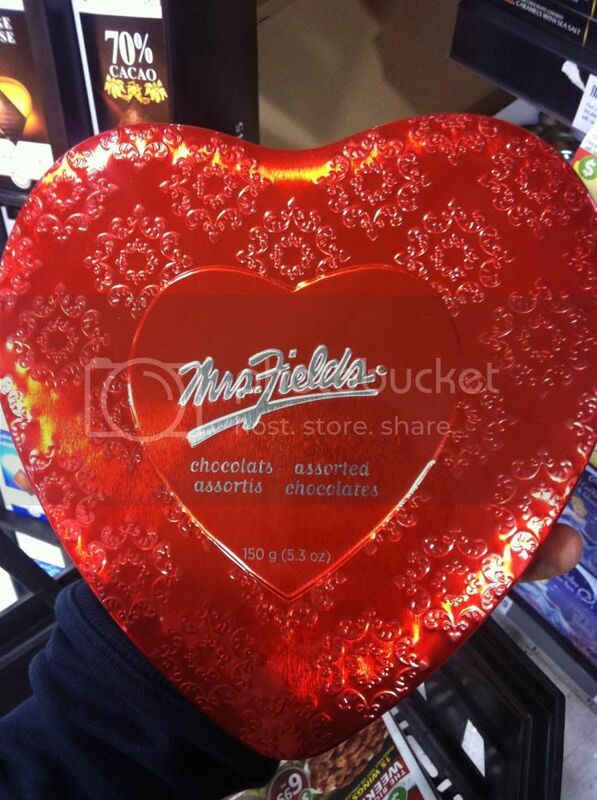 Now I know they sell these chocolates in the actual stores... but really who is going to a Mrs Fields for the chocolates?! Honestly it sounds like a pretty great selection of flavors. 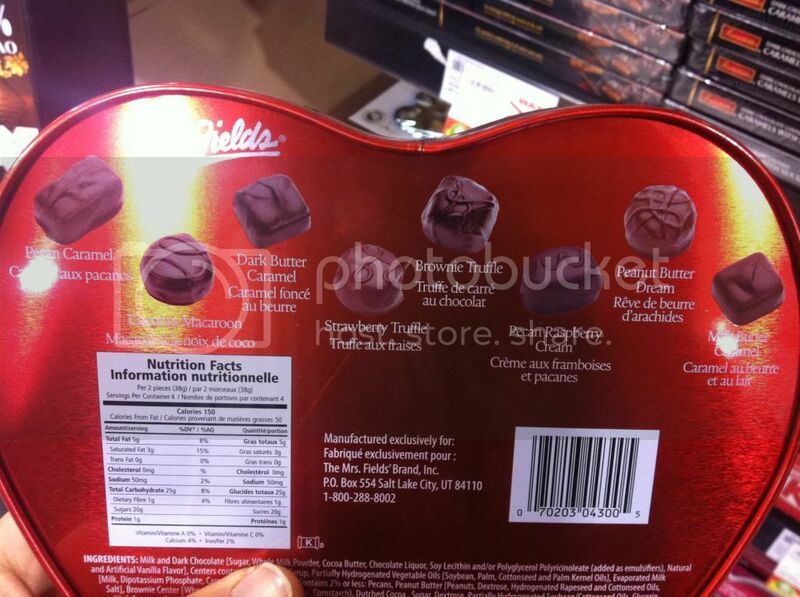 I'd probably pick the Strawberry Truffle as my go to chocolate here. This has to be my pick for the school kid who is being forced to give something to all his classmates. 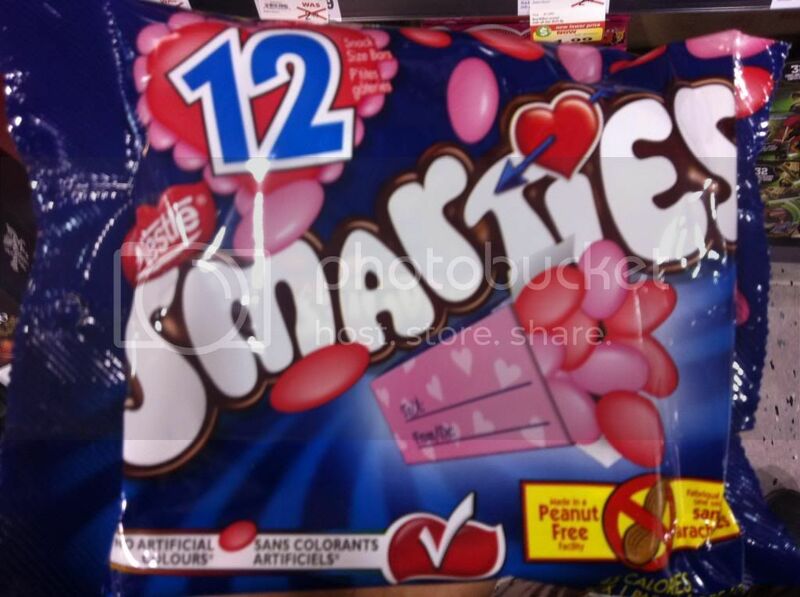 Smarties are awesome and I appreciate packaging that lets me conveniently address it to and from. 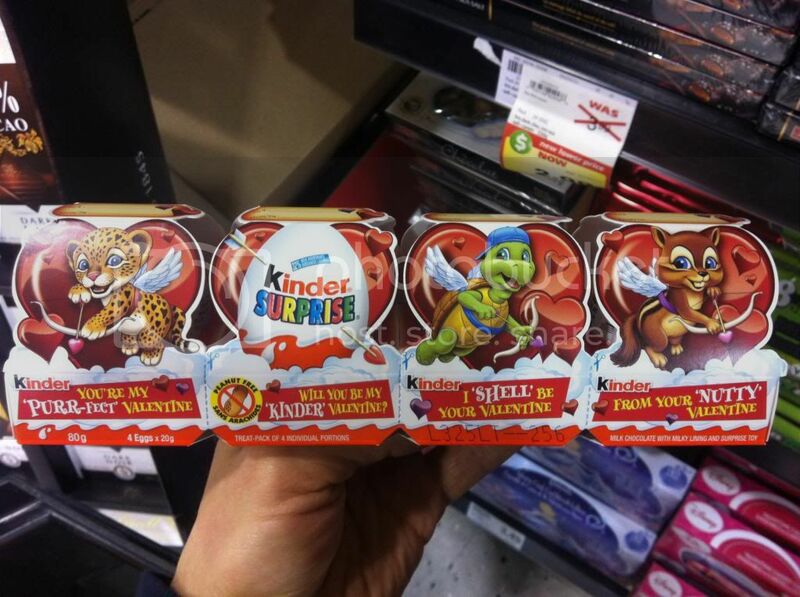 Finally, these Kinder eggs are actually pretty awesome. 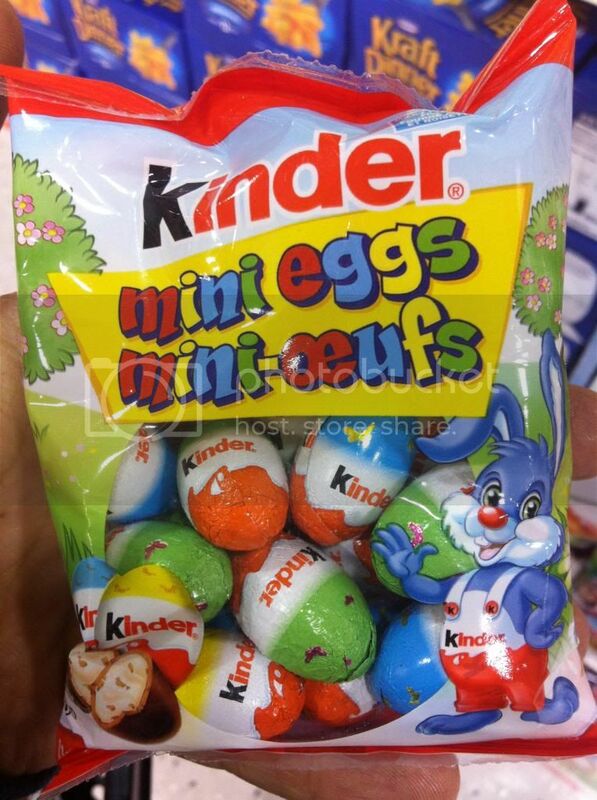 They break apart into solo eggs, so this pack is good for 4 friends, and a Kinder is one of those things that everyone really enjoys but hardly anyone actually buys for themselves. I totally dig it as a gift and despite the fact that these Valentines are packaged with 2012 toys I'd still get it for the people I love. Anyhow, I hope you all have a great Valentines Day tomorrow. I definitely encourage you all to tell someone you love them. And check in tomorrow for a fun Valentines review. Well here we are once again. 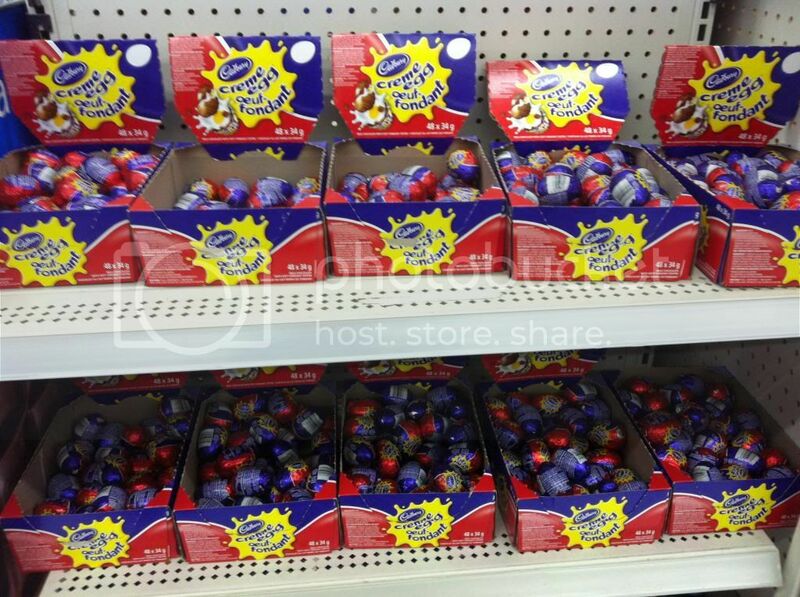 It was just over a year ago that I started Walking the Candy Aisle and I again find myself faced with an aisle full of Easter Eggs. 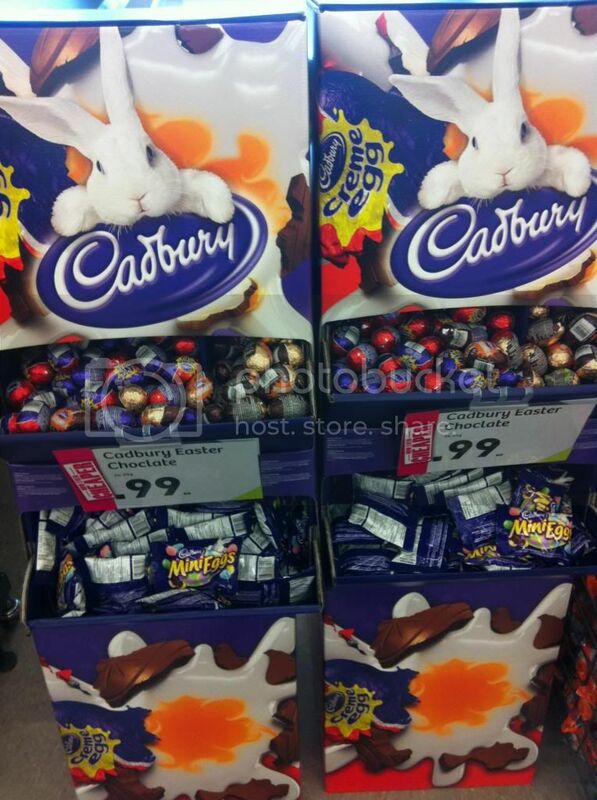 Valentines hasn't even happened yet and already Easter is taking over! 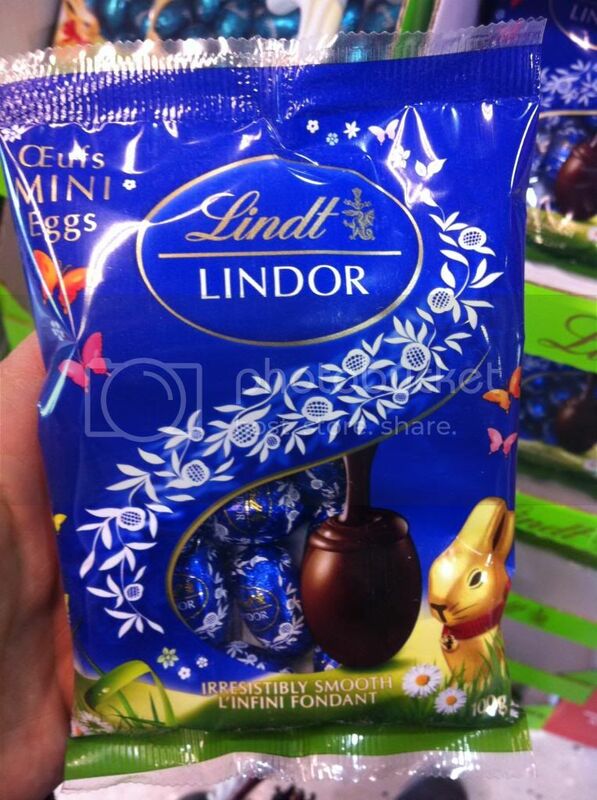 There are definitely some things to be happy about with Easters return. Cream eggs for one! I love me some good ol' cream eggs, and I'm interested to see what's different now that I'm living in Canada rather than the States for the holiday. Already I'm seeing a few differences even in the standard Cadbury fare. Look at this selection and you'll see some interesting things. 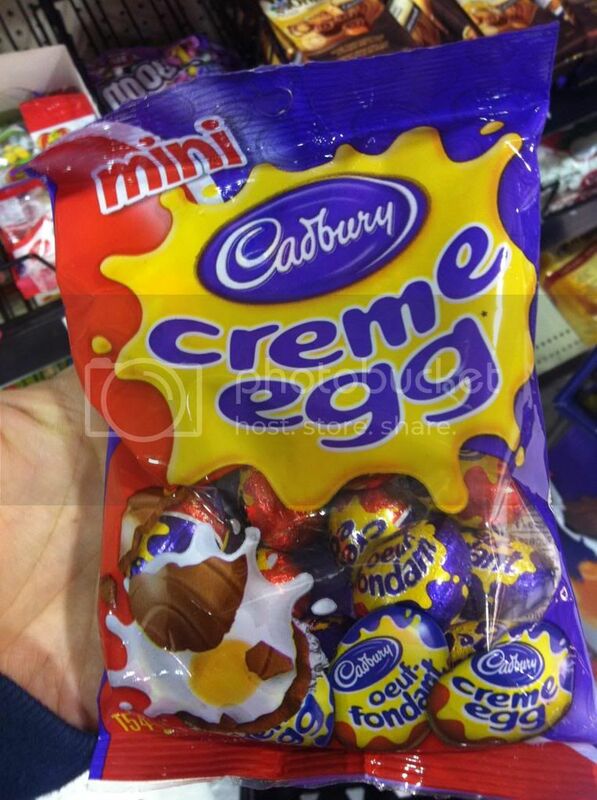 Mini Creme Eggs! 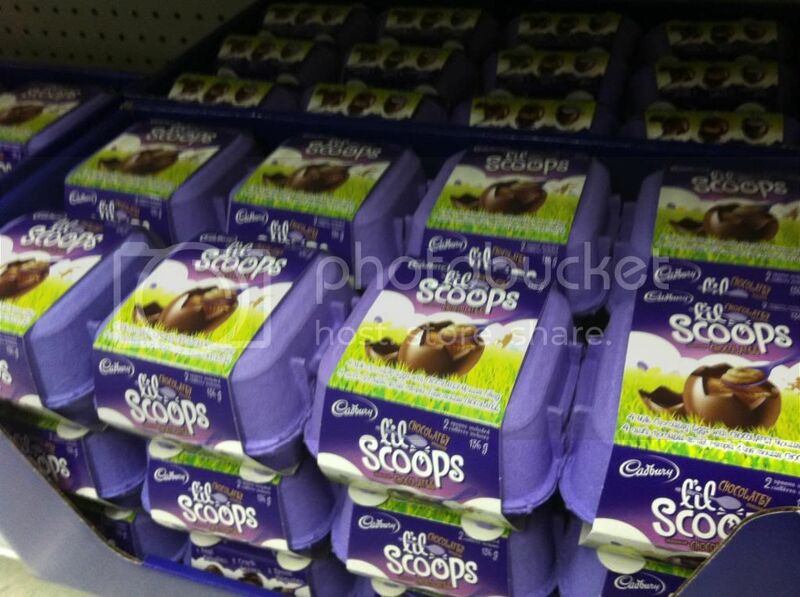 yes, those are not Mini Eggs, but actual creme eggs only shrunk down!!! I can't wait to get my hands on those! 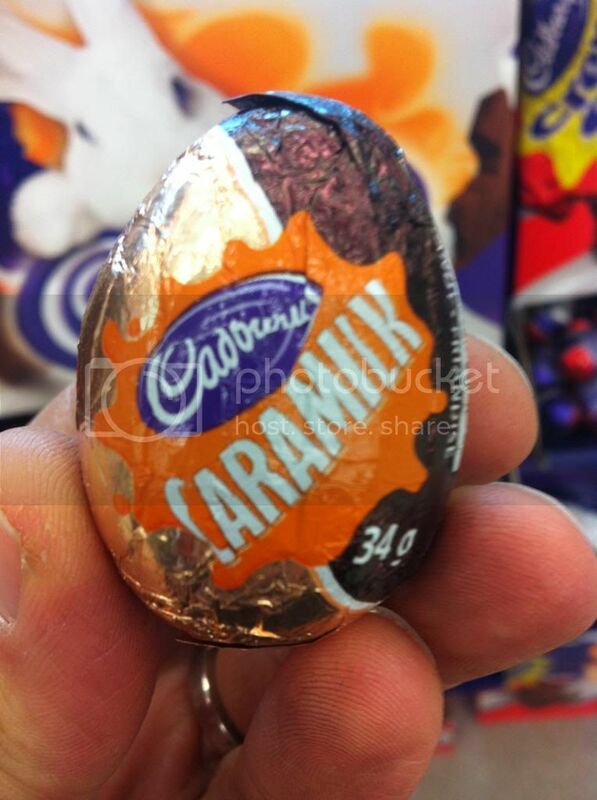 Cadbury Caramilk Egg... does this mean I won't get my beloved Caramel Creme Egg?! How similar is this to that??? Very interesting. These come in mini size as well. 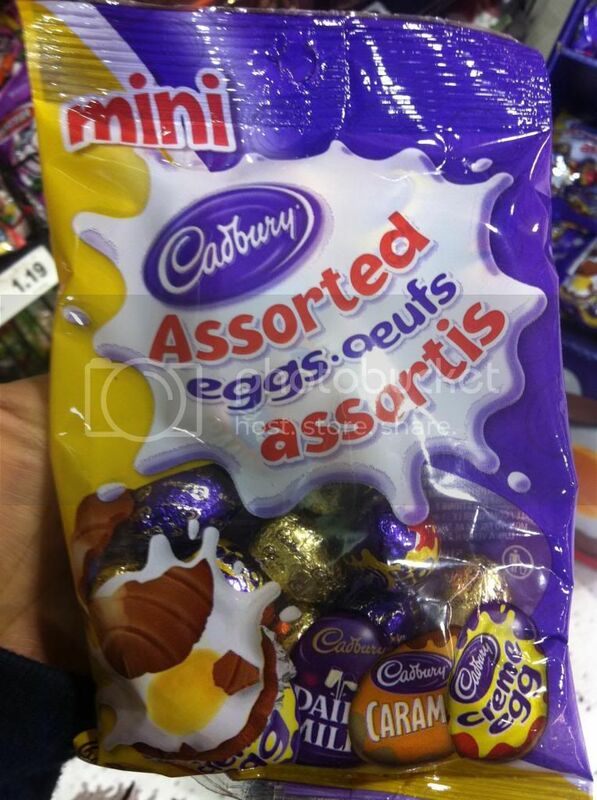 And check this out, a variety pack of mini eggs, featuring straight up Cadbury Dairy Milk Eggs. Very interesting... Do you suppose its solid milk chocolate? 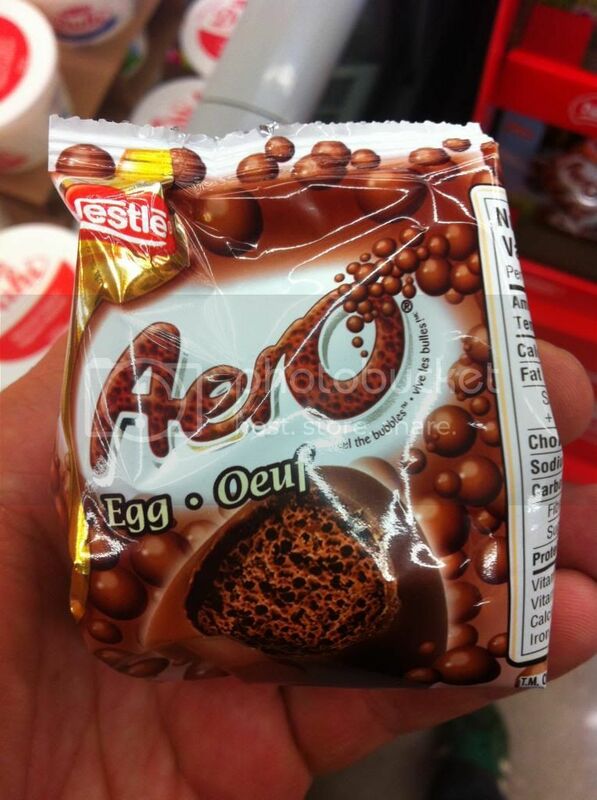 Nestle Canada also has an interesting selection with yet another redesigned Aero bar. This time its an egg. 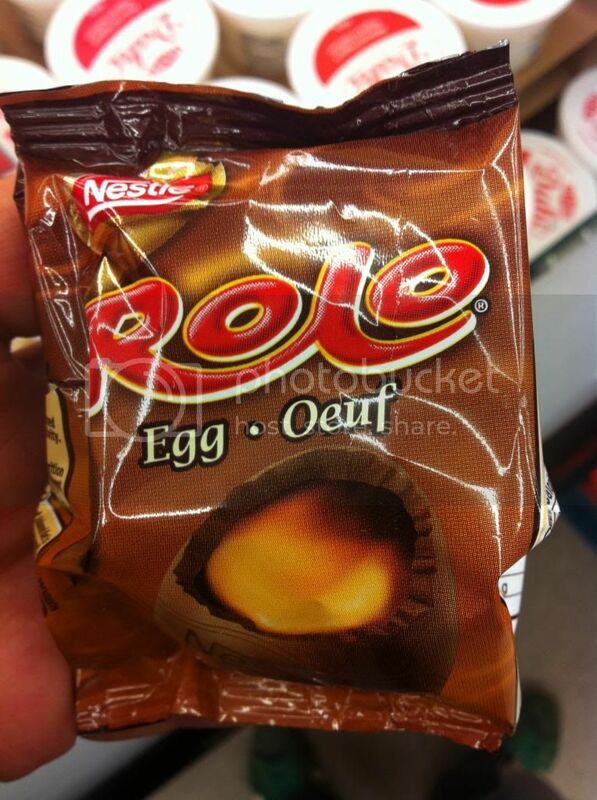 Not to be outdone they also have a Rolo egg. Yes thats right a ROLO egg! 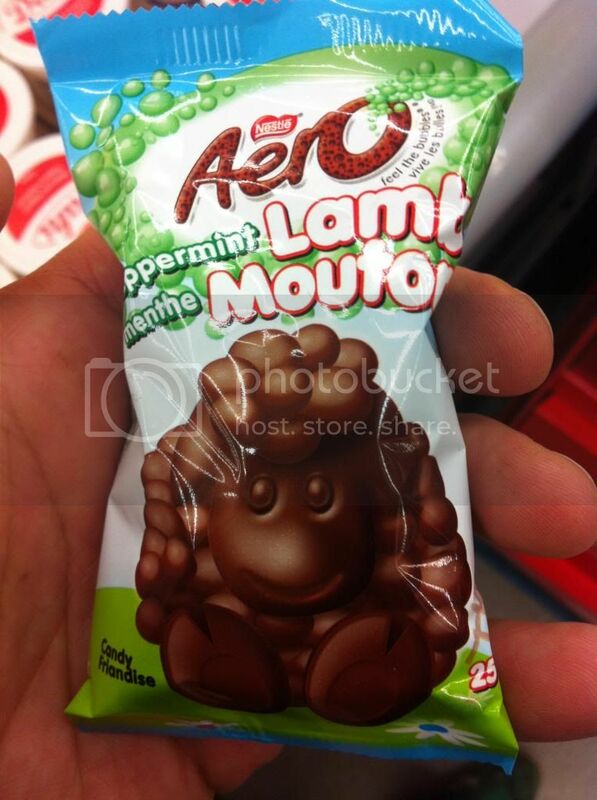 What actually has me most intrigued though is this adorable little mint mutton chop. Why aren't there more lambs at Easter? seems like a good fit for the holiday. 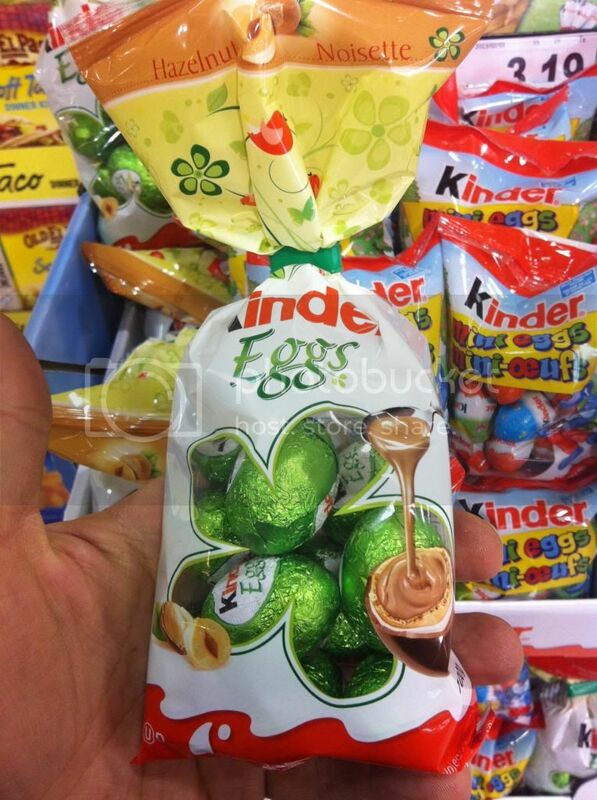 While Kinder has always come in eggs, here are some actual honest to goodness chocolate filled ones from the company. I have to say I haven't explored much of Kinder's line outside the toy filled egg, but I'm interested to take a dip soon. I believe Kinder has had these malted (?) mini eggs for a few years now, but I just noticed the cute little bunny mascot for the first time. And finally Lindt. Aside from the full sized Lindor eggs that I mentioned a few weeks ago, they've also got these cute little Lindor mini eggs... Doesn't it seem like everyone is on the egg bandwagon these days? I'll have some Easter reviews coming up for you in the weeks ahead, and yes I will have at least one Valentine's review for those lovesick readers out there. Stay tuned all. The Holidays just keep on coming and so does the candy and chocolate! And for those of you who can't wait, check out all of last years Easter themed video reviews right here! Here are a few of the more snack oriented ads to air this Sunday. Of course M&Ms had a spot. They usually opt for something, even going so far as to debut their Brown M&M mascot at the Superbowl 2 years ago.I like this ad overall. Its pretty funny. Maybe not as funny as some from years past, but its definitely cute. Doritos always goes big, and this year they had a contest over at https://www.facebook.com/DoritosUSA where if I understand it correctly, people submitted their own homemade ads for a chance at fame, fortune, and an opportunity to work with Michale Bay on... something (ok, so I'm not totally versed in all the details, but here are the two top ads from that contest. That's pretty fun stuff, although Doritos ads all wear on me after a while... its like drinking too much Mountain Dew or something. It just all blends together somehow into an "extreme" sensory overload. Pepsi, Coke, and a company called Sodastream all had good showings on the beverage front. But that was to be expected. More significantly though they had a party to watch the ad air, with both the marketing team behind the ad, and Oreo executives in attendance. Apparently during the 30 minute power outage the Oreo Twitter team took action and hastily came up with this fun ad. They became a trending topic on twitter and scored a great win for cookie fans everywhere. Check out their ad by clicking here. Yes you can still dunk in the dark! Overall I'd say the ads we're not as great in years past, but I still enjoyed them. Let me know fi you had a favorite, or if you prefer to just to ignore all the hullabaloo. If you want to see more, here's a link to a YT page of all the ads. Enjoy. Today we're looking at a personal favorite of mine it's Ghiradelli's Squares, Milk Chocolate with Caramel flavor. If you've ever been into a Ghiradelli store this was probably the free sample. Great stuff!